The CMA Songwriters Series visited Chicago this week for a night of stories and songs at Joe’s Bar. 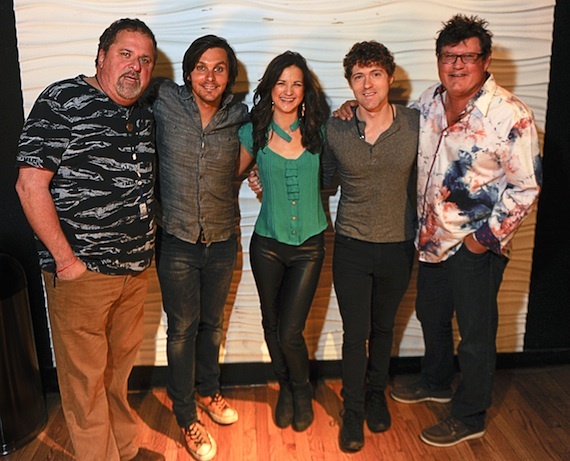 Songwriter and CMA board member Bob DiPiero hosted and performed alongside Monty Powell, Striking Matches, and Charlie Worsham. CMT Sr. VP of Music Strategy Leslie Fram will be the keynote speaker for Nashville Lifestyles‘ Women In Business event, to be held Thursday, Aug. 26, beginning at 11:30 a.m. at Nashville’s Schermerhorn Symphony Center. Tickets are $50, and full table ticketing options are available (10 for $500) by contacting lkeally@nashvillelifestyles.com. Individual tickets are available at ticketsnashville.com. Additional new hires include Jeff Schroeder as Senior Technical Consultant for onsite installation, technical documentation, and automation interface expertise and Lorie Robers as Senior Accountant.